Facebook CEO joins the "Secret Tel Aviv" group which has over 220,000 members. Facebook CEO Mark Zuckerberg joined "Secret Tel Aviv," an Israeli Facebook group with over 220,000 members. The group, according to a report in Globes, publishes many posts in Hebrew and English with diverse content, such as housing searches, various recommendations, tips for new immigrants, discussions, and humorous posts about the city and its residents. The group is very active and operates a website. Zuckerberg joined Secret Tel Aviv over the weekend, the report said. Some of the group's members noticed this on Monday and began publishing posts about it. "People, you should know that now he's one of us," one user wrote with a screen capture showing that Zuckerberg was a group member. The post has received over 1,100 likes and drawn many responses. Another user tagged him, writing humorously, "I hope the new member in the group likes the hummus in the city." 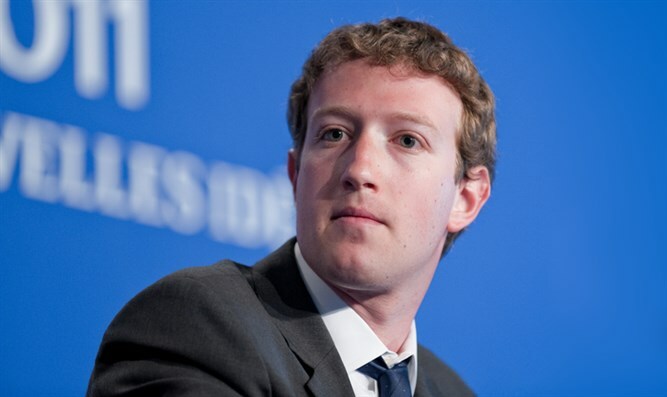 Zuckerberg did respond to two of the posts announcing that he had joined the group. In one of them, he wrote, "Hey - I'm glad to be here to stay more connected with Tel Aviv. It's been too long since my last visit. Thanks for creating this community!" In his second response, he wrote, "Everyone likes hummus." Zuckerberg has 119.6 million followers, and uses his personal profile to tell them about Facebook's various actions and statements, but also publishes personal posts on it. Two months ago, on the occasion of Rosh Hashanah, the Facebook CEO posted a video of himself blowing a shofar. The video became popular and received many comments in short order. On Purim, Zuckerberg posted a picture of himself and his wife baking making the traditional three-cornered “Hamentaschen” dessert. "Baking hamantashen. Chag sameah," read the caption. Zuckerberg also asked for forgiveness before the Yom Kippur, which he called "the holiest day of the year".